Kale superfood is a virtual storeroom chockfull of cancer beating chemicals and health promoting minerals. Kale belongs to the Brassica family, along with broccoli, cabbage and Brussels sprouts. You can blend, bake or chop kale superfood into delicious and easy-to-prepare recipes. This green superfood helps you enjoy strong bones, better vision and freedom from crippling chronic diseases. 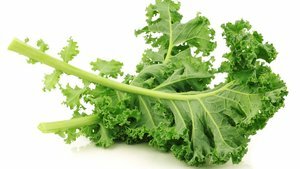 Among the various nutrients it contains, kale superfood is a rich source of Vitamin K, a clot-busting and bone-building ingredient. A 60 gram serving of kale will provide over 500 milligrams of Vitamin K, a much-needed vitamin for many bodily functions. Vitamin K plays an important role in clotting of blood. With deficiency of this vital nutrient, bruising and even life-threatening blood loss is a danger. Vitamin K regulates blood clotting and also controls deposition of calcium on bones, maintaining them strong and healthy. It even lowers cancer risk. Kale also has Vitamins A and C, as well as minerals like iron and calcium. A cup of raw kale delivers all your daily needs for Vitamin A and 90% of your Vitamin C requirement. Vitamin A is an important ingredient of the photosensitive pigment called retinoin in your eyes that helps keep vision sharp and clear. Vitamin C has diverse functions including immunity, bone growth and skin integrity. An important ingredient of kale superfood is its cancer-fighting phytochemicals. These include carotenoids and glucosinolates which are sulfur-rich compounds responsible for the bitter taste of this group of vegetables. Inside your body, glucosinolates are turned into isothiocyanates and indoles, groups of chemical compounds that are responsible for cell repair and DNA replication. These compounds also serve as cellular scavengers, binding to toxins that can damage DNA and eliminating them from the body. Protective chemicals in kale superfood can also stop cancer cells from growing and spreading to other places in the body. They have a protective effect against cancers of the stomach, colon and lungs. Phytochemicals in kale superfood have a modest hormonal activity as well. This gives them a protective role against cancers of the prostate and breast. 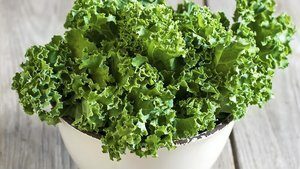 Several experiments have confirmed that the risk of certain cancers decreases among communities and populations that eat cruciferous vegetables like kale superfood three to four times every week. Kale is among the top superfoods that are readily available all around the year, even though the plant itself grows seasonally in winter and early spring. Choosing kale with smaller leaves will avoid the bitterness without affecting the benefits. It’s best to eat kale fresh, within a few days. The longer you store kale, the more bitter it becomes. Wrapping up the leaves and refrigerating them in a plastic bag will preserve them for a few days. Add kale superfood to your juices, smoothies, salads and other dishes. There are many superfood recipes that use kale and similar green super foods along with other fruits, spices, herbs and vegetables. The enzymes in kale superfood responsible for turning glucosinolates into cancer preventing compounds are not active in its native state. They require activation by breaking down the tough cell walls of kale leaves. When you chop, chew or blend kale superfood to achieve this end, you’ll enjoy a kale salad, juice or smoothie and enjoy your path to good health and healthy living. Steaming or wilting kale is another popular method of preparation that’s suitable for tossing it into soups, salads or pasta dishes. This entry was posted in Health & Wellness and tagged kale superfood, superfoods on May 11, 2018 by Healthy Living Guide.